We look forward to building together with you an agenda that will empower everyone to innovate! This video was filmed at OpenLivingLab Days 2015, organised in Istanbul from the 25th to the 28th of August by the ENoLL together with BAŞAKŞEHİR LIVING LAB and Başakşehir Municipality. Hosted at a selection of amazing venues across Istanbul the conference featured an exciting progamme including a research day, interactive workshops & seminars, networking dinners, visits to local Turkish organisations & other touristic sites, and the worldwide summit of our Living Lab community. Attracting over 150 participants from around the world OpenLL15 was a great event and we look forward to organising the 2016 edition with Communautique and Concordia University in Montreal, Canada. Save the dates: 23rd – 26th of August 2016! 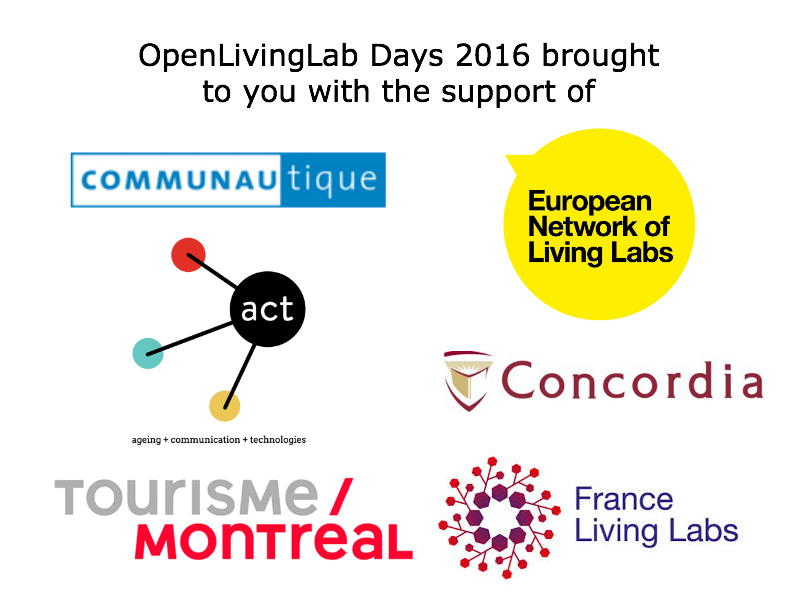 OpenLivingLab Days 2016: What to Expect? 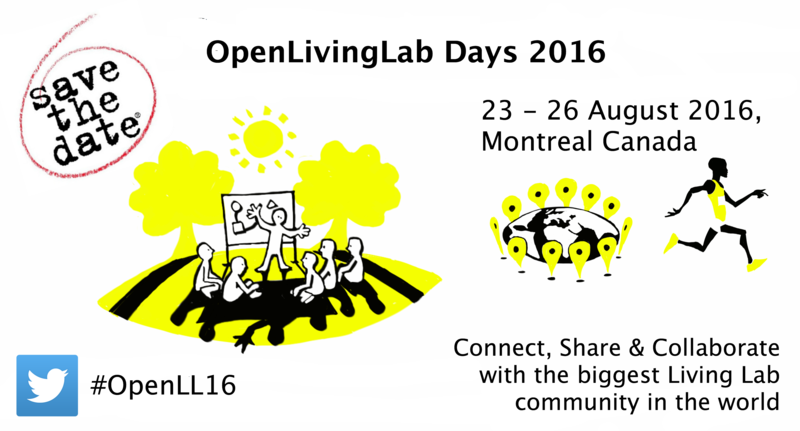 Welcome to the website of OpenLivingLab Days 2016 happening in Montreal, Canada, from the 23rd to the 26th of August 2016. 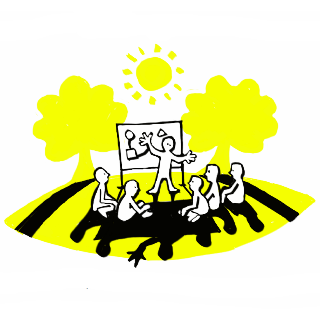 The agenda is currently in production but meanwhile you can consider submitting a research paper on Living Labs or a workshop proposal helping us to co-create the agenda. We look forward to welcoming you at biggest Living Lab gig of the together with our hosts: Communautique and Concordia University! Presentation of the results from the call for papers on Living Labs covering theory, method and tools applied in Living Labs today by researchers & practitioners. Discover new ideas, skills, tools & research to take back to your Living Lab or organisation and help to further the academic research of this emerging field of open innovation. The conference and its diverse sessions will help you discover how the latest best practices and advances in governance and international collaboration can help your organisation profit from open innovation and Living Lab paradigms. Inspiring keynotes & panel discussions will bring news from across the world. Participate in inspirational workshops on the latest Living Labs initiatives and open innovation stories relating to Smart Cities, Open Data, Social Innovation, Health, Design, Manufacturing & many more. Visit local Canadian innovation spaces, incubators and Living Labs to discover the local climate of innovative work. 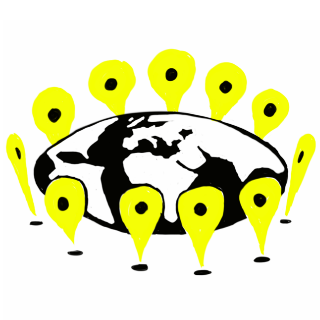 Meet, connect & network with Living Lab experts, researchers & practitioners helping you to discover what is happening in other regions & grow your projects internationally. Attracting around 200 participants you’re sure to be inspired by the diversity of people & organisations present at OpenLivingLab Days. 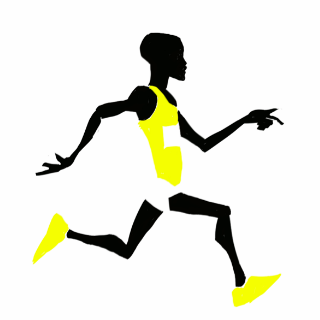 The European Network of Living Labs (ENoLL) is the international, non-profit, independent association of benchmarked Living Labs in Europe and beyond. ENoLL counts today over 170 active Living Labs members worldwide (395 historically recognised over 9 years), including active members in 20 of the 28 EU Member States, 2 of the candidates and it is present in 5 continents in addition to Europe. Directly, as well as through its active members, ENoLL provides co-creation, user engagement, test and experimentation facilities targeting innovation in many different domains such as energy, media, mobility, healthcare, agrifood, etc. As such, ENoLL is well placed to act as a platform for best practice exchange, learning and support, and Living Lab international project development.